Some of our recent Whitney Electrical & Solar customers have brought to our attention that there is still a lot of confusion around the Tasmanian solar feed-in tariff that expired on 31 December 2018. Here’s our review of the state of solar in Tasmania, and our answer to why you should still consider solar regardless of feed-in tariffs. 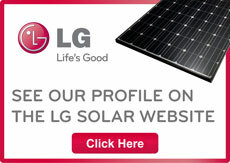 LG has put together a comprehensive list of more than 250 solar questions and answers on the use of solar power in Australia and New Zealand. We’ve picked out the top 10 most asked questions we get at Whitney Electrical & Solar from Tasmanian people just starting to research solar. TEELS is a joint initiative of the Tasmanian Government and Aurora Energy to assist people with the purchase of energy efficient products. Many of our customers have taken advantage of this incentive to allow them do installation earlier than anticipated or to keep savings in their own bank account longer, while taking advantage of the 3 years interest free. The maximum loan amount is $10,000 per working adult in the household, so some couples have been approved for $20,000. A joint initiative of the Tasmanian Government and Aurora Energy to assist people with the purchase of energy efficient products. You will receive further information on the TEELS scheme in early 2017 via email.